Jordi Bruix is Professor of Medicine at the University of Barcelona and Director of the Barcelona Clinic Liver Cancer (BCLC) Group within the Liver Unit at the Hospital Clinic of Barcelona, Spain. 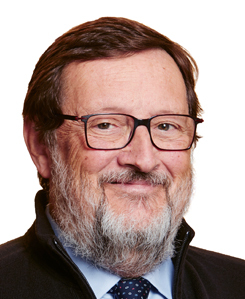 Prof. Bruix has been the principal investigator of studies and clinical trials that have changed practice in the field of hepatocellular carcinoma (HCC), including development of diagnostic criteria and prognostic models and establishment of chemoembolization, SORAFENIB and REGORAFENIB as EFFECTIVE therapy. He founded the International Liver Cancer Association (ILCA) and was its president from 2006 to 2009.